Flying Probe systems do not require test fixtures, have few restrictions on board access and can test boards with a virtually unlimited number of networks. They also allow developers to complete test programs in a short time. The FLS980 Dxi guarantees superior probing precision and repeatability, even as component sizes and denser packaging technologies pose challenges to other test engineers. 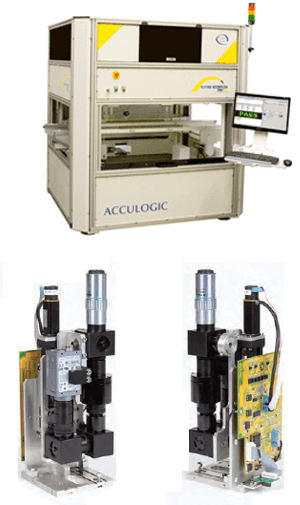 As the first patented flying prober with double sided testing and 22 interchangeable probe modules, the FLS980Dxi is leading the way in defining new leaner and more efficient deployment models for production environments.